An open analytics solution for energy and utility companies that offers applications and capabilities to help improve asset maintenance and utilization. Performance analytics provide historical and real-time assessment of critical assets. 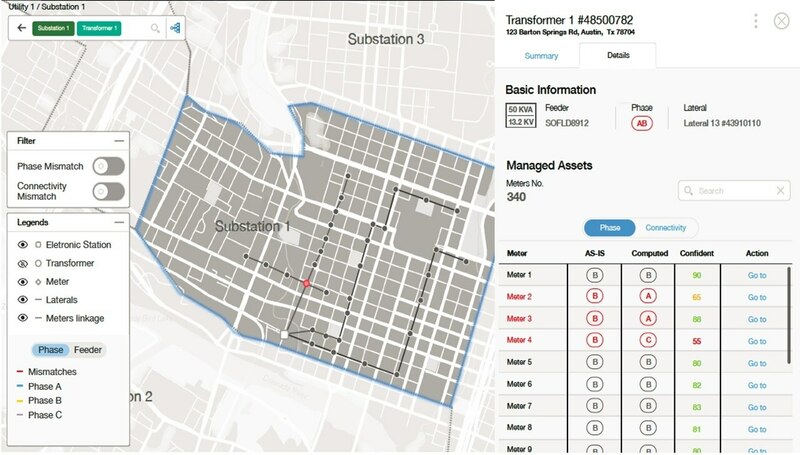 Aggregate relevant data sources - structured and unstructured (SCADA, historians, MQTT, OPC, OSI, EAM, GIS, inspection and operation logs, weather) - associated with asset performance and apply pre-built asset models based upon industry standards and covering a wide range of critical transmission and distribution assets to provide real-time assessment of asset performance. Models can be customized as needed. Risk exposure analytics provide information in context of grid operations by aggregating and analyzing asset performance data to calculate probability of asset failure and impact on the grid. Failure calculations indicate probability that a single asset or a network will fail, as well as consequential criticality of failure. It employs grid-aware linear analytics that use utility GIS connectivity records to traverse the network to evaluate the cascading effect of upstream and downstream assets. Through various what-if scenarios operations personnel can determine the best investment plan possible according to the provider’s objectives and constraints. Investment plans can be exported to asset investment planning solutions for network wide asset investment analysis guided by corporate level investment constraints such as risk-level (maintain a specified level of risk) or budget-level (conform to a specified budget target) as the criterion for developing the investment scenario. 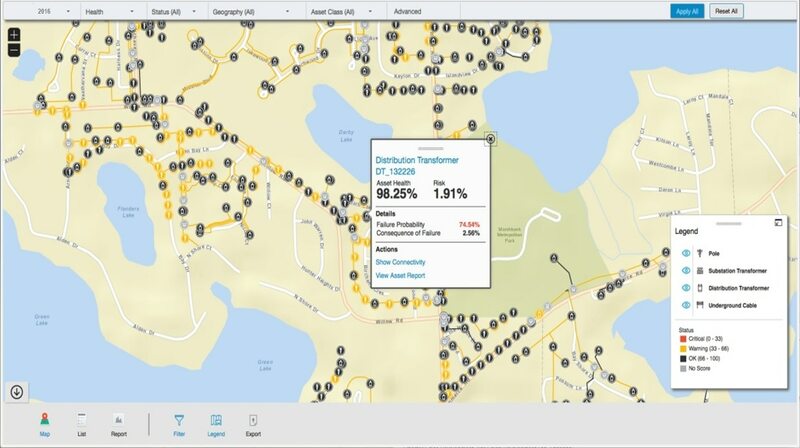 Employ a patented linear analytics algorithm - with an accuracy greater than 90% - that utilizes AMI/smart meter data to identify which meters are connected to which electric phase and provide recommendations to help fix connectivity records without time and expense of sending crews into the field. Automated verification can help: improve fault location, isolation and service restoration, facilitate accurate analysis following system trouble, and provide greater detail regarding outage extent. IBM Data Model for Energy and Utilities (DMEU) provides pre-defined data structures designed to address the definition of both traditional data warehouses, dimensional data marts, and support unstructured data like social media and communications. Data structures and types include: outage history, asset monitoring data, maintenance records, asset financial optimization for CAPEX/OPEX, outage analytics, weather, work management budget and forecasting, distributed generation, and net metering. Wind360 offers role based access to historical, current and predictive insights for wind turbines and wind farms. Provides situational awareness for assets using historical and real-time data obtained from relevant operational systems associated with wind farms. 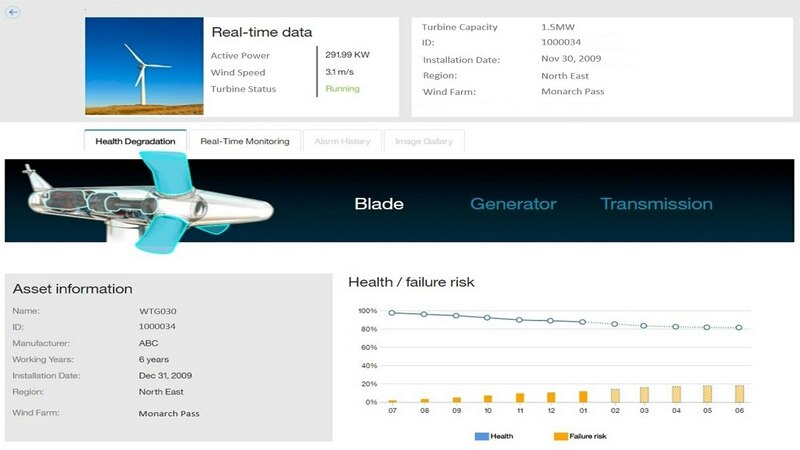 Optionally incorporates weather data through the IBM Weather Company to further optimize wind farm performance and assess turbine health and risk. Reports provide overall and detailed analysis of wind farm performance based upon KPIs. Current methods of determining which customer is powered by which phase of which distribution transformer, as well as determining interconnections between laterals and transformers can be time-consuming and costly when conducted in the field. Patented linear analytics algorithm with accuracy greater than 90% utilizes smart meter data to identify which meters are connected to which electric phase and provide recommendations to fix connectivity records without need to send crews into field. To be economically competitive, the wind industry needs to embrace digital technologies in order to maximize the availability, reliability, and performance of wind farms and their assets. Wind360 provides situational awareness of wind farm assets using historical and real-time data, including weather. Monitor wind speed, blade angles, vibration, yaw speed, power AT, wind direction. Provide advanced warning of pending asset failure. Hosted in IBM's secure Cloud data centers. Linux servers running 64 bit Intel hardware.